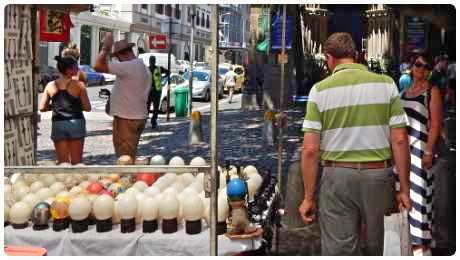 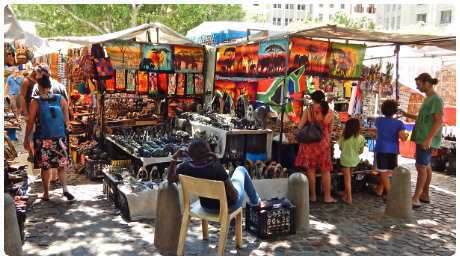 Vibrant atmosphere and great bargains (if you negotiate). 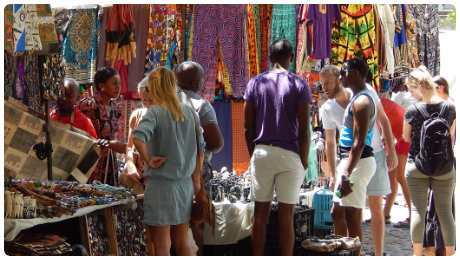 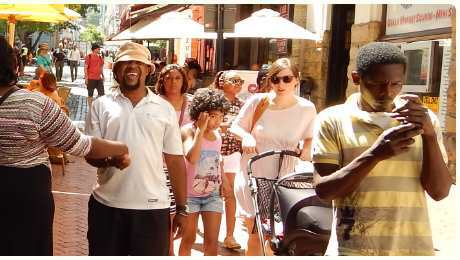 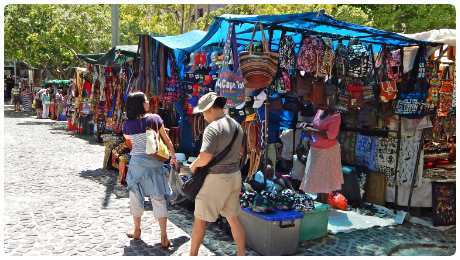 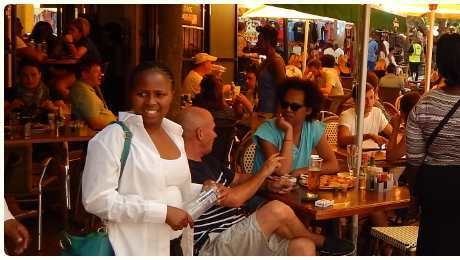 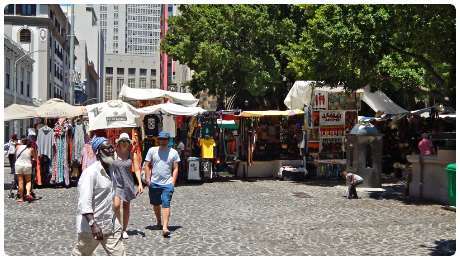 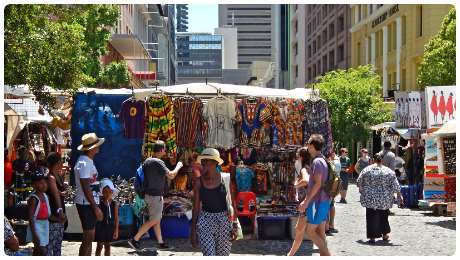 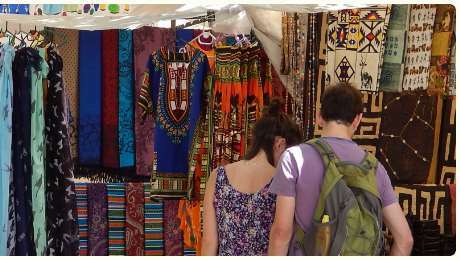 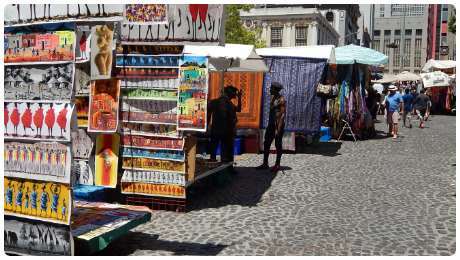 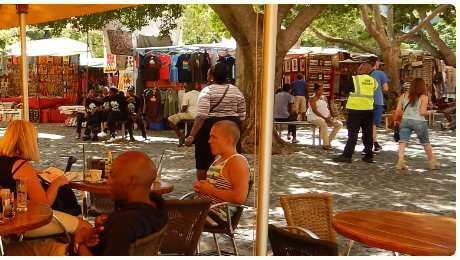 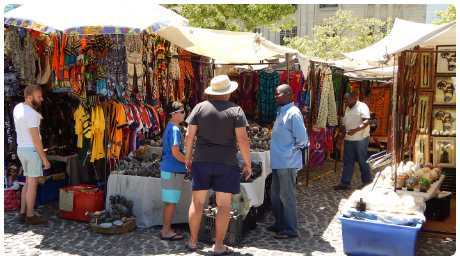 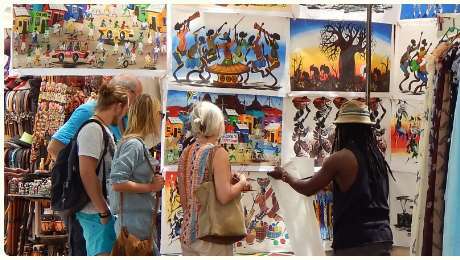 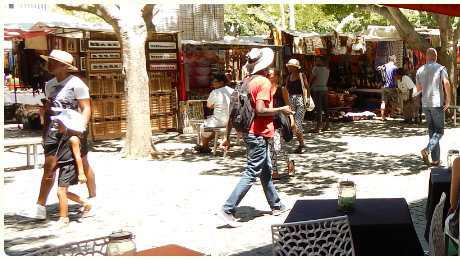 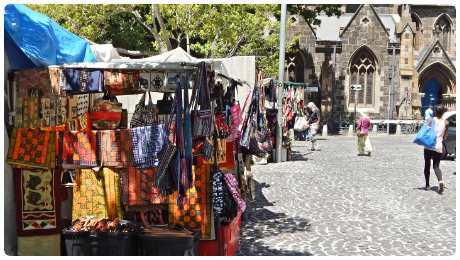 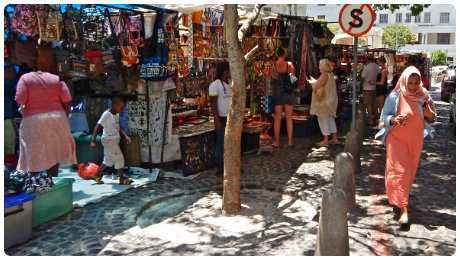 Includes art, crafts, fabrics, local souvenirs and artefacts from many African countries. 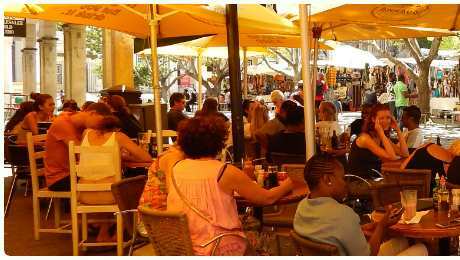 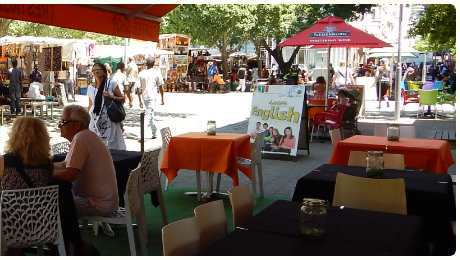 Restaurants and cafes surrounding the square and it connects to City Walk.